Terry Velour Shawl Robe: -Personalized shawl robes, monogrammed shawl robes, Personalized gifts, monogrammed gifts. Ultimate in beauty and opulence. 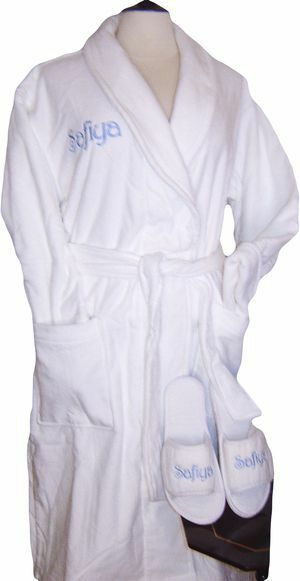 Personalized Shawl robes, monogrammed Shawl robes, Personalized gifts, monogrammed gifts, embroidered gifts, embroidered shawl robes, keepsake gifts, Shawl robes, terry velour robes, terry cloth robes, Ladies robes, Women robes, terry robes, waffle robes, waffle terry shawl robes, waffle terry robes, terry velour shawl robes. The ultimate in luxury and comfort. Elegantly styled with a double layered shawl, long sleeves, roll-up cuffs, two patch pockets, double belt loops and a self belt. Crafted from 100% triple sheared, luxurious terry velour fabric.